Dr. Meredith Persky received her undergraduate degree from Texas A&M University and worked in research for 3 years before attending veterinary school at The Ohio State University. 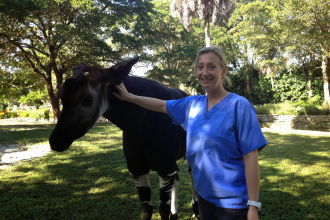 Dr. Meredith completed a two-year veterinary internship at the Indianapolis Zoo and received 2 years of residency training at the Kansas City Zoo before working as an associate veterinarian at Zoo Miami for four years. 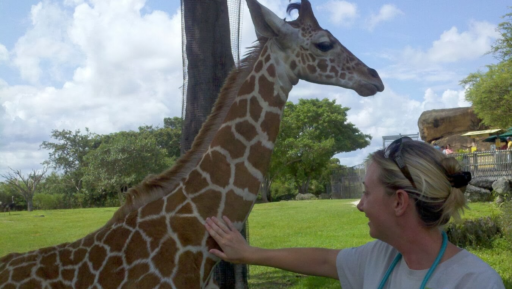 Dr. Persky is currently a staff veterinarian at the Jacksonville Zoo and Gardens. She enjoys spending time with her fiance, their obese cat and rescue labrador “NON-retriever” mix.